My RODE Reel is back ! Leading pro-audio brand RØDE Microphones is excited to announce ‘My RØDE Reel‘ is back for its third year and is bigger and better! 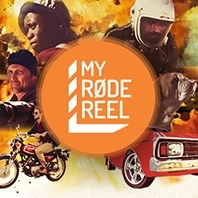 With close to 5,000 video submissions from 89 countries, ‘My RØDE Reel‘ has not only become the world’s largest short film competition, but has also established itself as a staple amongst the global filmmaking community. RØDE Microphones launched ‘My RØDE Reel‘ three years ago to huge international engagement. The competition returns in 2016 with an increased total prize pool of more than $300,000 and more awards than ever before.